It’s all go here at Trimcraft. As usual we have loads of new ranges coming out and of course we are gearing up to launch our Christmas collections. I make no apology for mentioning the C word in June as many crafters will understand the need to get ahead and plan for the biggest crafting occasion of the year. In the coming weeks I will be let loose on the full range of festive goodies including dies, papers, stamps and embellishments. I can’t wait! 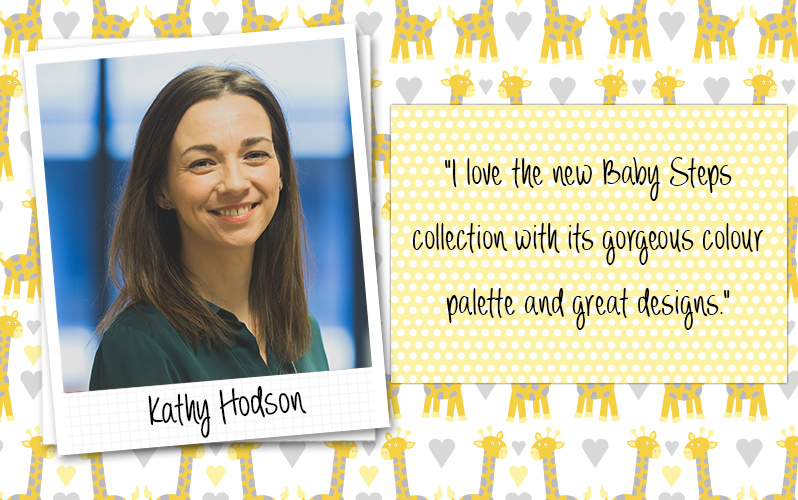 Looking back this month, I’ve had a couple of exciting Create & Craft shows launching the delightful Baby Steps collection and the very pretty Perfectly Pink. If I had to pick a favourite it would be Baby Steps with its gorgeous colour palette and great designs. It is a close call between the two but the star, chevron and polka dot papers really caught my eye, as well as the cute giraffes and elephants. I made quite a few different themed cards too, including male cards, new home and sympathy, showing that this collection is much more versatile than just baby-themed crafts. I used the giraffes in my demo on the show and I thought this would make a great engagement or anniversary card as well as new baby or christening. I’ve been crafting with the latest free paper downloads too. It’s great to have this resource at my fingertips to download a whole back catalogue of papers. This month’s are just my kind of designs with the tropical leaves and succulents but the colours in the papers mean it’s really fresh. Perfect for summer! I created some napkin and cutlery rings with them for a summer BBQ. I also got to take loads of scrapbook-ready pictures this month with a couple of days out with the kids and a trip to the spa with my husband to celebrate our 10th anniversary. I think the new Simply Creative papers will be perfect for putting together layouts for these images. All I need now is a spare few hours to dedicate to filling those pages! Make sure to check out my social media pages on Facebook, Instagram and Twitter under the name Kathy Crafts TV to keep up to date with my latest crafts and show times on Create and Craft!